Hooray! 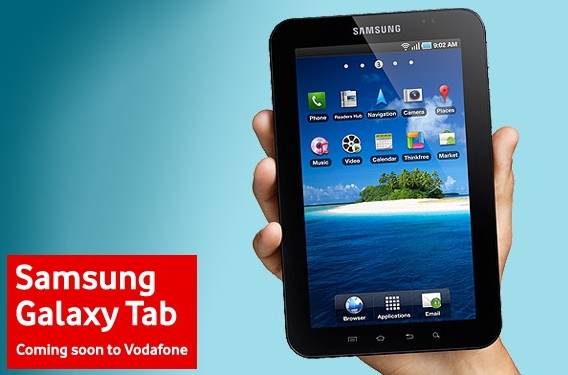 Finally there’s a bit of new Android hardware up on Vodafone’s Coming Soon page, with the recently revealed Samsung Galaxy Tab now confirmed for the network – and there’s a full holding page up for it on the site now. And that’s about all the news there is, as Vodafone doesn’t offer any more of an explanation about dates than its previous Vodafone announcement contained. And there are no prices or tariff deals. But it’s up. We’ll be refreshing every 30 minutes until pricing plans appear. Surely, as this is likely to be a second mobile device for most people in addition to their phones, the data tariffs are going to have to be pretty cheap? No one’s going to commit to £35 a month just to keep their fancy tablet online, are they?